Need help with a Mario 64 adventure map! I am trying to make a Mario 64 map in Minecraft. Not only do I want to do it for the aesthetics, I also want to make it functional and a playable map. 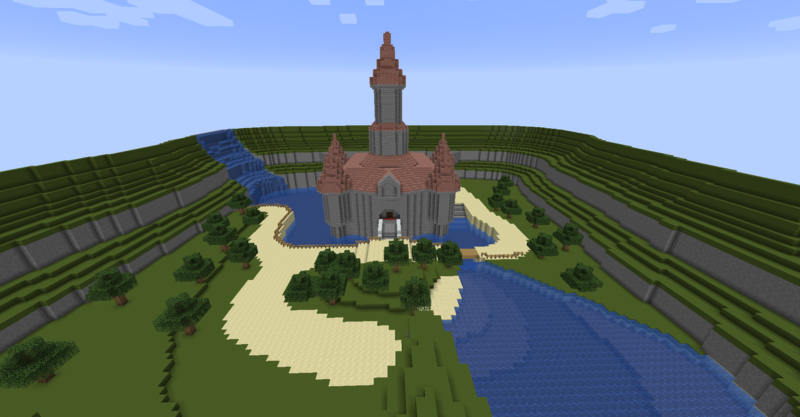 Above is my recreation of the beginning castle exterior. I am able to build pretty well, but lack the command knowledge for advanced tech, also a texture pack would probably have to be created. Also, I need other builders to help me as this is a really big project. If you are interested in helping, let me know, I need people with all different skills. If you want to be part of the team or just stay up to date, join my discord server: https://discord.gg/Ujv8xN .